Maude Isabella Coghlan (mother of George Pears) was born in Trichinopoly on 28th February 1888 and christened on 25th March 1888. 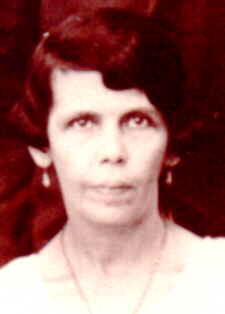 Her father was Henry Coghlan (b4th Aug. 1855 - d1911 in Bangalore) and mother was Christina Esther Bussell (b1858 - d1903). On 17th April 1907 Maude Isabella married Wilfred Joseph Pears in the Baptist Church, Madras. The marriage was solemnised by Rev. WR Manley, an American Baptist Missionary (more about Manley: Click here and seach for Manley in Baptist Missionary Magazine). Witnesses were JFE Hosie and ME Dodson (I assume that ME Dodson is Maud Elizabeth, sister of the groom Wilfred Pears). Maud married Rupert Dodson in 1902. Wilfred is shown as aged 24, bachelor, Driver S I Railway, Villupuram. 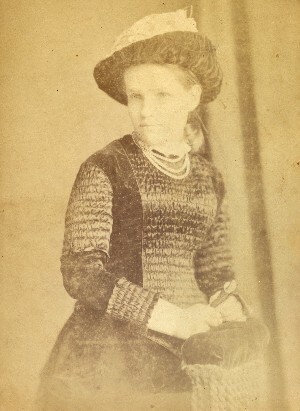 Maude shown as aged 20, spinster, British and residing in Madras. As a child she would have travelled extensively in south India with her railway engineer father. By the marriage date of 1907, Henry Coghlan, Maude's father had retired to Bangalore. Maude's mother Christina Esther (Bussell) had passed away 4 years earlier in Madras. During his working life Henry Coghlan worked as an engineer surveying and route planning for the Nilgiris Railway (Coonoor), for new railway routes (Negapatam & Trichinopoly) and for steel design at Egmore Station (Madras). See also Wiki. Maude's Siblings (other children of Henry Coghlan & Christina Esther). (1)Mary Adelaide b 29/10/1886; C 27/11/1886 Coonoor: Married Frank Ernest Hosie (son of Robert Arthur and Mary Ann (Annie) nee Thomson) in 1904. Maude Pears died in Madras in 1930 aged 41, from complications following a tooth extraction. She is buried in Kilpauk cemetery. Jeremiah Coghlan (father of Henry Coghlan) was born, according to his enlistment papers, in Rathcormac in Co. Cork, Ireland in about 1814. He was 5' 51/2" tall with grey eyes, brown hair and a dark complexion. He enlisted with the Madras European Infantry as a gunner on 15th April 1840 in Cork. His trade was a currier (leather finisher). In late 1840 he set sail with 137 others from Chatham for Madras aboard the Essex. On 29th July 1839 by order of the president of the Council of India the 2nd Madras European Regiment was raised and by 15th October 1839 it was formed, clothed and armed as a light infantry regiment under the title of 2nd (Madras) European Light Infantry. On 18th June 1842 Colours, bearing the motto "Cede Nullis" (Yield to none or Concede Nothing), were presented by Major-General Clement Hill, commanding the Mysore Division, and on the 8th December the establishment was raised to 12 companies. Jeremiah married Elizabeth ??? about 1850. In April 1857 after 17 years of service, Jeremiah Coghlan re-enlisted with a bounty. In September 1857 he was promoted to Sergeant. In 1858 the regiment title was changed to 2nd Madras Light Infantry and in May, 1861 the regiment (was EIC) was incorporated with the British Army as the 105th (Madras) Light Infantry. He volunteered to be with Battery D Brigade in 1863. On 27th March 1866, at nearly 53 years of age and with 26 years of service behind him he requested discharge with Pension under India Regulations and elected to remain in Bangalore. His conduct was exemplary and he held 3 good conduct badges and would have merited 2 more. He was never in debt and was never before a court. His wife Elzabeth died on 18 Apr 1873 and Jeremiah died in Bangalore on 23 Aug 1880. More information about Christina's (Maudes's mother) family is available by clicking here for Bussell. Aside: Engelbert Humperdinck's father [Maryn Dorsey] was also born in Perambur (Madras) on 10th Feb 1893 ( a year before George Herbert Coghlan). He married Olive Webber in 1931 in Perambur. Engelbert [Arnold George Dorsey] was born in Madras in 1936. At least 5 generations of Engelbert's family can be traced to Vepery & Perambur.